The School House at the White Heart is not your run of the mill bar and restaurant. Step inside and its quirky interior whisks you away to another world. There are two separate areas to the interior; the bar area which consists of high tables situated towards the entrance(perfect for drinks) adjoining the woodland area with two long dining tables seating up to 20 people. The main restaurant (the old school) is light and airy, still with its original sash windows and with seating for up to 50 people. 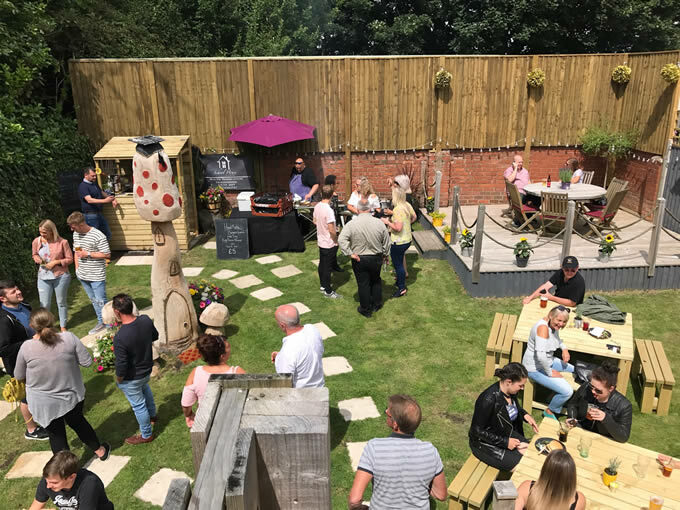 New for summer 2017 is the “Secret Garden” a large garden terrace area with tables and chairs, an event bar and BBQ.